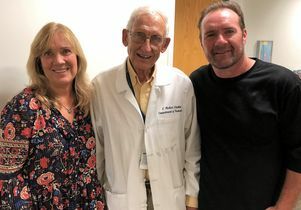 Forty-eight years ago Tamara Haggard, left, donated the bone marrow that UCLA’s Dr. Richard Stiehm used to save her brother Maurice Elias. It’s 1970 and 10-month-old Maurice Elias lay in a hospital bed in the pediatric intensive care unit dangerously malnourished, at just 14 pounds, and with a severe infection in his mouth. The antibiotics that doctors at UCLA had been using to treat Maurice, who had been born without a functional immune system, were no longer working. The only way Maurice was going to survive was a bone marrow transplant. 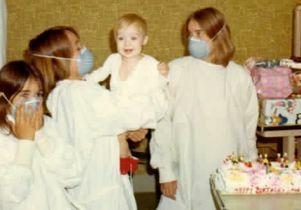 Nearly five decades ago, this was still an experimental procedure, having been performed successfully in a person with SCID just one time before. But the lack of a proven track record didn’t deter the Elias family. Along with his doctors at UCLA, they were determined to save Maurice, the youngest of five children in the family. Maurice was just three months old when his mother, Carol Elias Lilly, noticed he was frequently sick. Her son always had a runny nose, frequently vomited and developed a severe form of oral thrush, a common fungal infection that appears in the mouth. Despite visits to pediatricians and rounds of antibiotics, Maurice's symptoms only worsened. 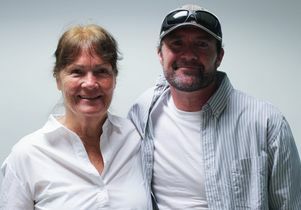 “I kept having to take him to doctors, and I just knew something serious was wrong with him,” Carol said. 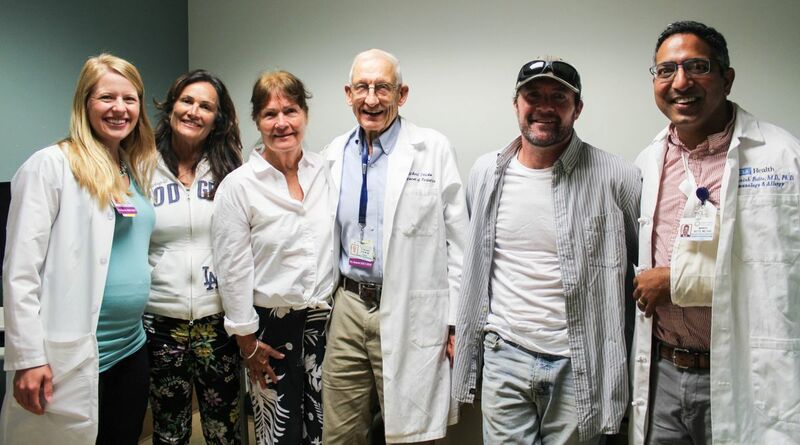 The Elias family was eventually referred to a team of specialists at UCLA led by Stiehm, who along with his team discovered that Maurice had pneumocystis pneumonia, an infection that occurs only in people whose immune system is compromised. After further testing, Stiehm and the medical team diagnosed him with “bubble baby” syndrome. 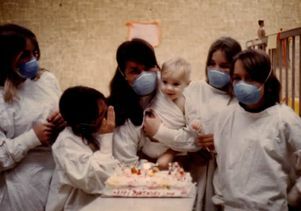 While Maurice lay severely ill in a sterile incubator, Stiehm and his team treated Maurice’s pneumonia. But even with the pneumonia taken care of, the medical team still had to address the bubble baby syndrome, which is what made Maurice susceptible to pneumonia in the first place. Maurice needed a bone marrow transplant from a donor whose lymphocytes — a type of white blood cell with thousands of variations — matched his. 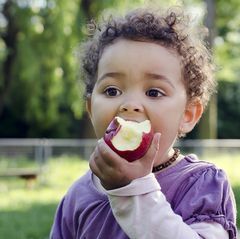 Finding such a match is much more complex than matching ABO red blood cell type, and the best chance at finding one would have been from a sibling with the same two parents. 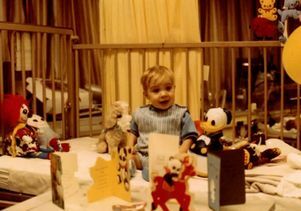 Maurice Elias in his crib in the hospital during his first birthday. 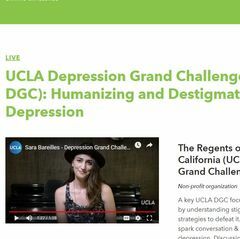 Stiehm contacted Paul Terasaki, a UCLA scientist who pioneered how to determine the specific types of human leukocyte antigen, known as HLA, a person has. Terasaki had established a typing laboratory at UCLA just a year earlier, so Stiehm brought him samples of Elias’ and his family members’ blood for study. Disappointingly, none of the family members appeared to be a good match. Stiehm sent Maurice home on a regimen of antibiotics and other drugs to treat his symptoms. But three months later Maurice returned to the hospital. The medications alone couldn’t keep him healthy. It was clear that a transplant was the only hope. Stiehm again reached out to Terasaki. After additional testing, Terasaki found that three HLA types showed up repeatedly in Maurice’s blood — ones identical to the blood of his 13-year-old sister, Tamara. To confirm whether she’d be a match, Terasaki mixed her blood cells with Maurice’s cells to see whether they would recognize each other. The results showed promise, but Terasaki admitted he couldn’t be certain. With Maurice’s health deteriorating, his family didn’t have much time to make a decision; at the time, most children with “bubble baby” syndrome didn't survive past their first year. Because a bone marrow transplant was the only chance he had for survival, the family decided to have Tamara donate bone marrow, which — if successful — would make Maurice only the second person ever cured of SCID. Tamara was admitted to UCLA, where doctors extracted marrow from 30 sites in her hip and breast bone and injected them into her brother. The entire process took just a few hours, and she returned home the next day. After two grueling weeks, there were signs of hope. Maurice’s lingering oral thrush had cleared. But he began to exhibit signs of graft-versus-host reaction, a condition that occurs when the transplanted cells start to reject the patient — often with fatal results. 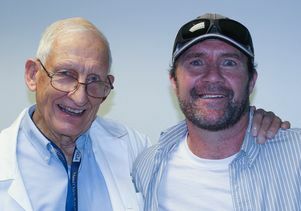 Maurice’s health deteriorated over the next two weeks, and the UCLA team suspected he might not survive the transplant. Then, there was a startling change. Tests confirmed that the transplant was successful. Soon after his first birthday, the doctors sent Maurice home — cured. As the youngest of his siblings by more than 10 years, Maurice says his family has always given him special care. But aside from a bout of pneumonia at age 16, for which he briefly saw Stiehm, he says he didn’t feel much different from other people growing up. This summer, Maurice, his mother, and his sisters Erin and Tamara visited UCLA to reunite with Stiehm for the first time in decades. 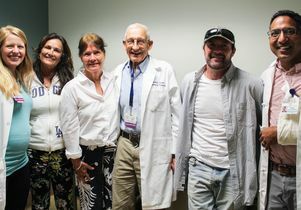 Stiehm, now professor emeritus in the department of pediatrics at the David Geffen School of Medicine at UCLA, and the family reminisced over what they all went through nearly 50 years earlier. Dr. Manish Butte, chief of the division of allergy, immunology and rheumatology at UCLA Mattel Children’s Hospital, now monitors Maurice’s health — as well as that of many other people born with severe combined immunodeficiency. Butte noted that when Maurice returned to visit UCLA this summer, his team of physicians was able to identify the exact genetic cause of his SCID within just a couple weeks. Maurice's case was so dramatic that LIFE magazine featured his story in its May 1971 issue. Stiehm published details of the transplant in the New England Journal of Medicine in 1972 so that other medical professionals could learn from the case and further the promising field of bone marrow transplantation. Since Maurice's procedure, physicians across the world have performed thousands of bone marrow transplants to cure people of diseases like bubble baby syndrome, leukemia, lymphoma and sickle cell anemia. Maurice Elias’ sister Tamara Haggard, Dr. Richard Stiehm and Maurice Elias. 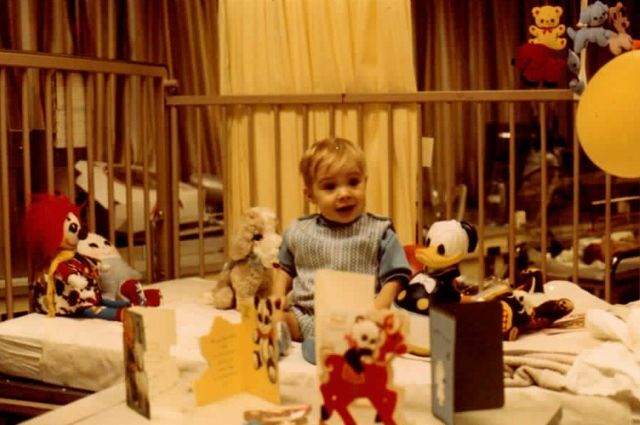 Maurice Elias being held by his brother, Michael, in the hospital while his family celebrates his first birthday. 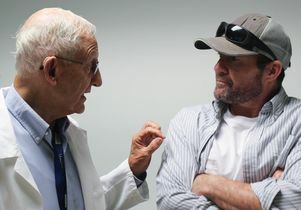 Dr. Richard Stiehm and Maurice Elias reunite in 2018, 48 years after Stiehn saved Elias’ life.